Yes, Gentle Reader, it’s that time of the year again. Grab your passport, sunscreen, cute walking shoes and sunnies because we’re off to Istanbul. It’s been wonderful here. It’s hotter than hell but dry, not that muggy, sticky humidity we have at home, so your hair looks great. We’re going to put in 4-5 miles walking everyday. You’ll get in a decent workout and see some great things. I’ll put in the recipes when I get home and figure them out so in the meantime let’s go explore through photos. Hagia Sofia. Very little Christian Orthodoxy is left. 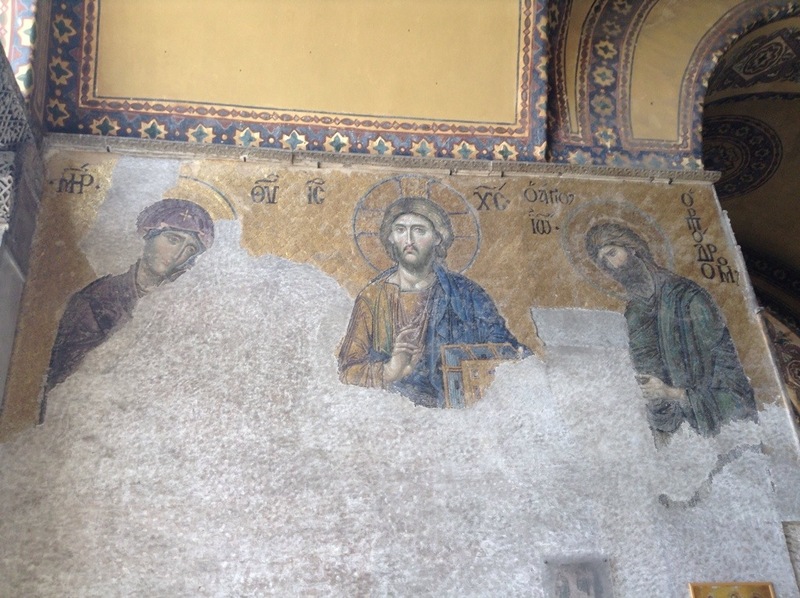 Mosaics, icons, everything went when Christianity was outlawed. 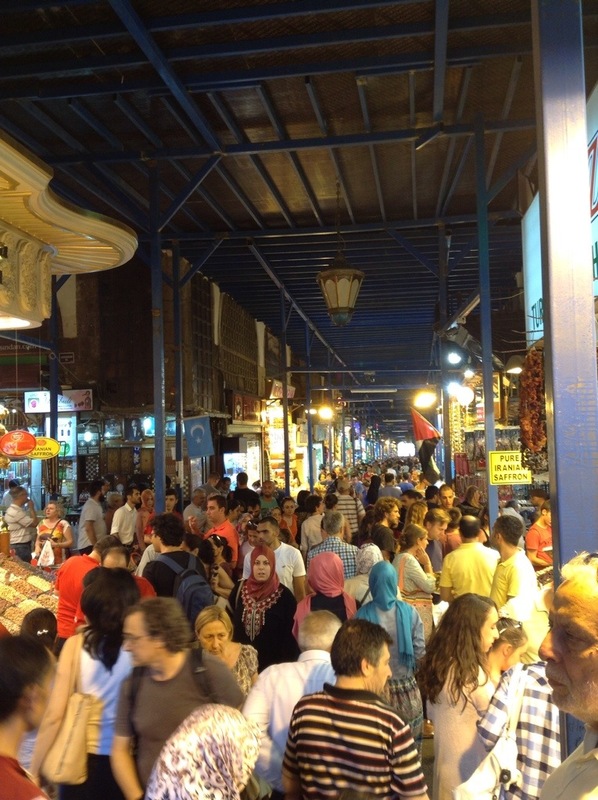 The Grand Bazaar. I was in seventh heaven! 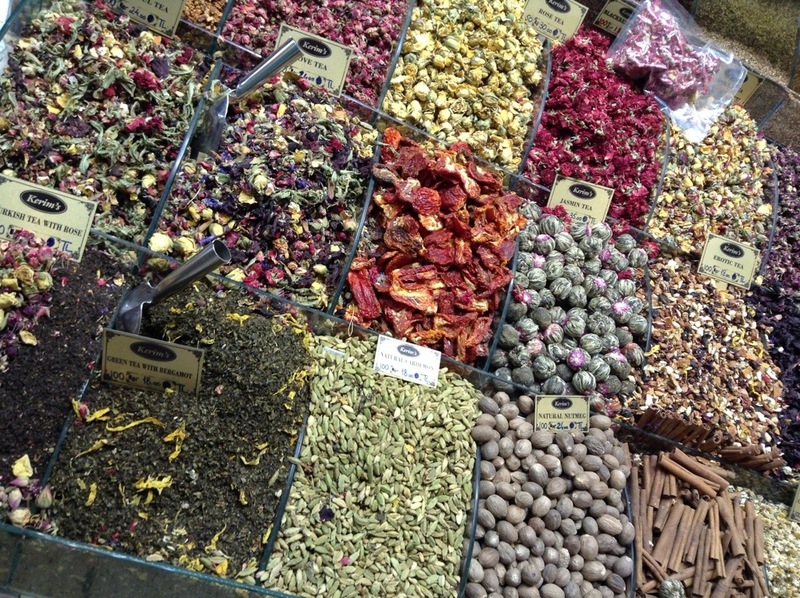 Jewelry, scarves, shoes, books, hardware, pots and pans, leather goods, furs and for me…spices! And, yes, I bought bags of sumac, za’ater, and an asssortment of herbs and spices I mixed together to use when I get home. Now I wish I had bought more. 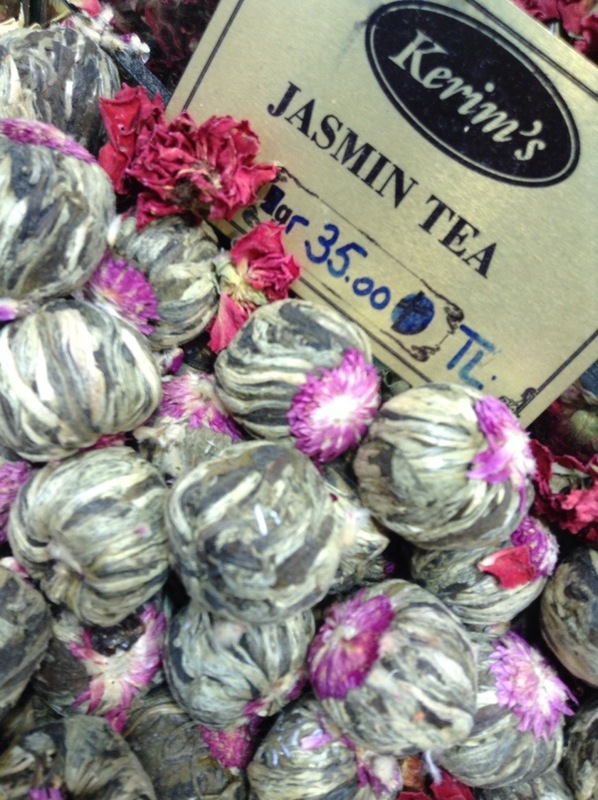 Never in a million years did I imagine my beautiful, perfumed jasmine tea looked like this! Is this not gorgeous? 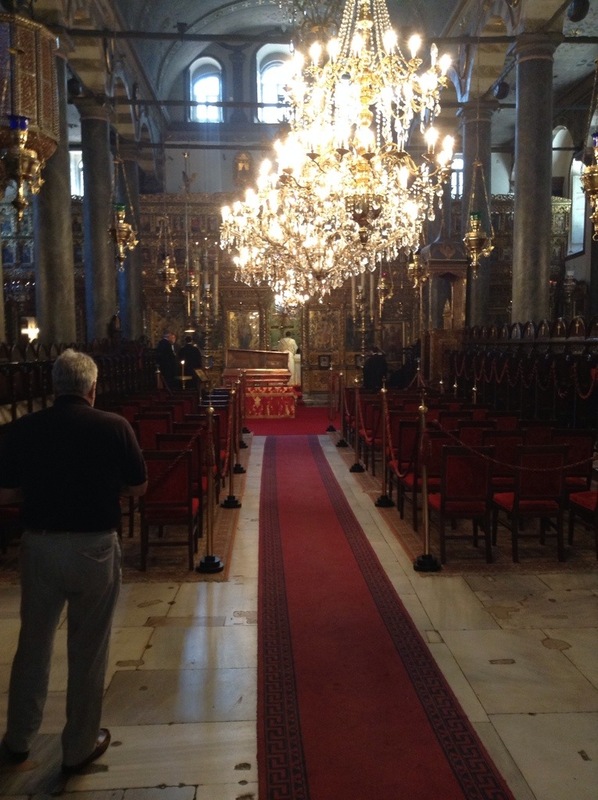 Liturgy at the Patriarchate. 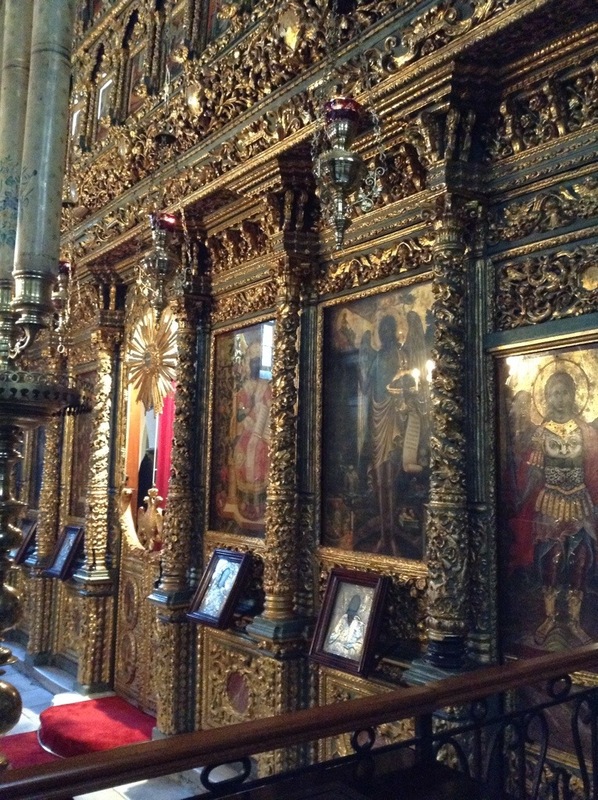 The seat of Christian Orthodoxy. Now I am at home. Full of love, peace and joy. Time to eat. I’m starving. 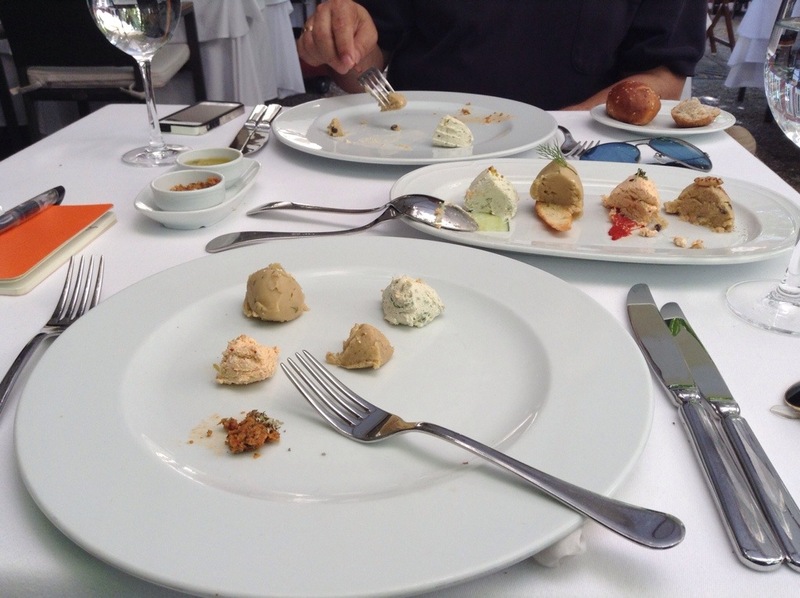 We started with an assortment of dips. Cucumber and cheese with a real kick. Roasted peppers and cheese. Fava. The last one was the big surprise. Ground almond with cinnamon. On crusty bread. Fabulous! See you tomorrow! Bup, You are the 3rd person I know who has been in Istanbul this summer! I said (to no one in particular) “what’s up with Istanbul?” It is now on my bucket list, right behind Greece!